Arbuscular mycorrhizal fungi as biotechnology alternative to increase concentrate of secondary metabolites in Zea mays L.
Leaves of corn (Zea mays L.) produce secondary metabolism compounds characterizing them as an alternative source of animal food. Plants of this species establish mutualistic symbiosis with arbuscular mycorrhizal fungi (AMF) which provide an increase in the contents of bioactive compounds. These compounds have pharmacological properties and are important to the process of healing diseases. The objective of this paper was to establish whether the association of Z. mays with AMF increases the concentration of phenolic compounds in the leaves. After 70 days of growth, corn leaves were collected and their extract used for phytochemical analyses that included: soluble carbohydrates, proteins, phenols, flavonoids, and total tannins. 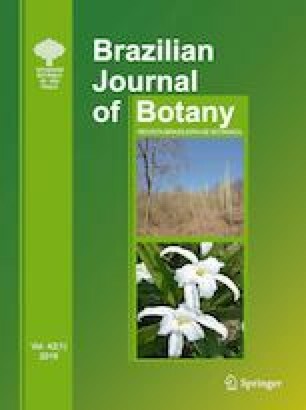 Plants associated with Claroideoglomus etunicatum (W. N. Becker & Gerdemann) C. Walker & A. Schüssler (UFPE 06), Acaulospora longula Spain & N. C. Schenck (UFPE 21) and Dentiscutata heterogama (T.H. Nicolson & Gerd.) Sieverd., F.A. de Souza & Oehl (UFPE 19) presented an increase in the concentration of soluble carbohydrates of 153.7%, 86.6%, and 79.1%, respectively, in relation to the control. Concentration of flavonoids was higher in plants inoculated with A. longula comparing with the control, while the concentrations of phenols, tannins, and total proteins in the mycorrhizal treatments did not differ from the control. Use of mycorrhizal technology may represent an alternative to enhance the content of some foliar metabolites in Z. mays leading to the production of phytomass with greater phytochemical and nutritional qualities. The authors would like to thank the Conselho Nacional de Desenvolvimento Científico e Tecnológico (CNPq—National Council for Scientific and Technological Development) for providing research fellowships to LC Maia and FSB Silva. FAdaS carried out the evaluation of the experiments and preparation and writing of paper. FSBdaS and LCM contributed to preparation and writing of paper.